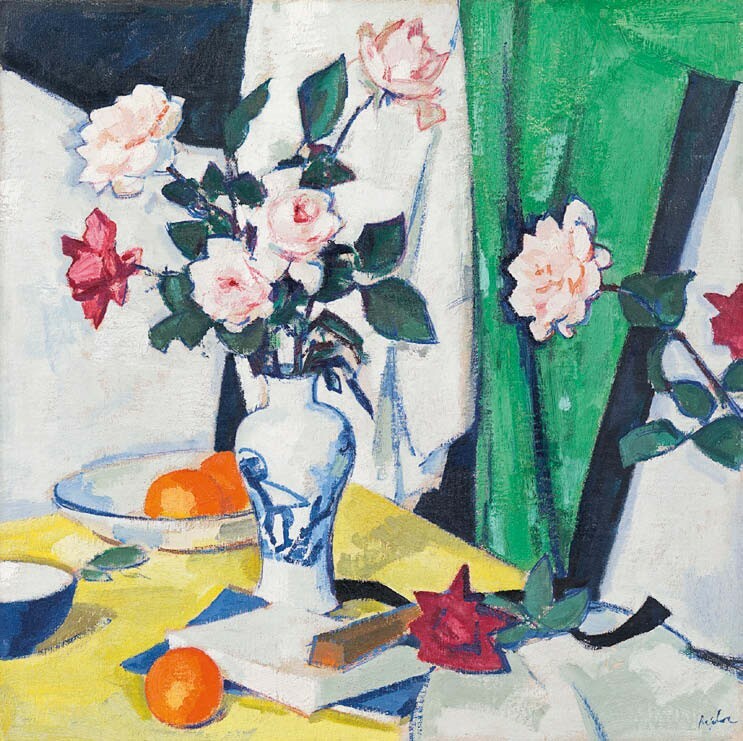 Samuel John Peploe’s (1871-1935) 'Still life of pink & red roses in a Chinese vase' is among the works in Richard Green’s ongoing exhibition devoted to the celebrated Scottish Colourist. 'Still life of pink & red roses in a Chinese vase' by Samuel John Peploe which is included in Richard Green’s exhibition. The c.1918 oil on canvas measures 2ft 1in x 2ft 1in (64 x 64cm) and was produced as part of Peploe’s drive to create the perfect still-life focusing on a few elements. The piece includes the typical blue-and-white oriental vase which the artist collected as well as the rich patterning of colour associated with his work. “There is so much in mere objects, flowers, leaves, jugs and what not – colours, forms, relation. I can never see my mystery coming to an end,” Peploe said. The exhibition until June 23 at Richard Green’s New Bond Street Gallery, London, includes more than 20 paintings and focuses on the still-lifes, with one room devoted to his exploration of the rose. It also features some of his early French landscapes.